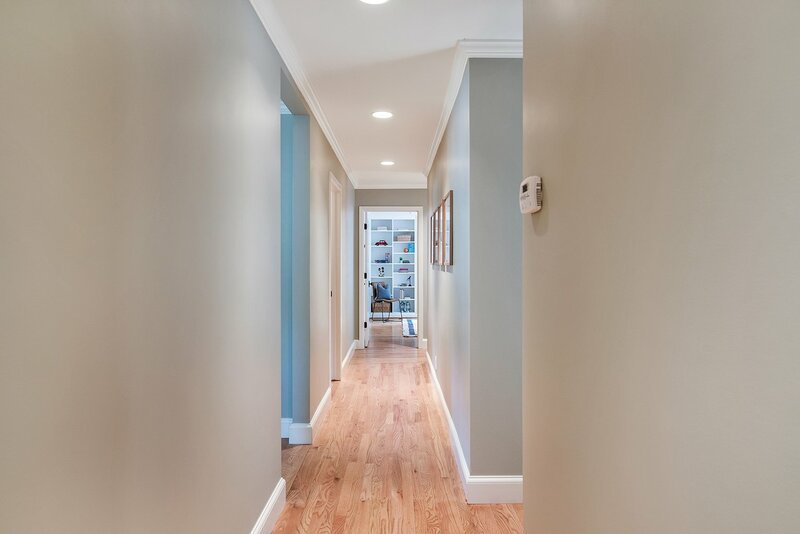 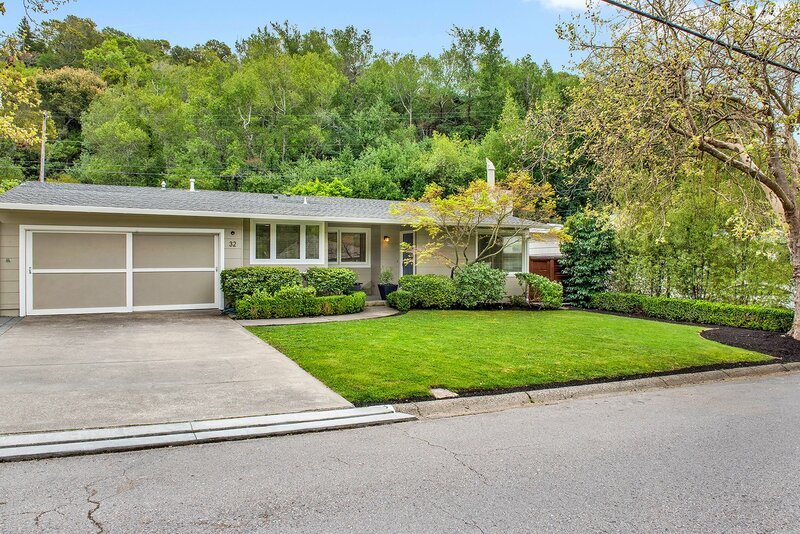 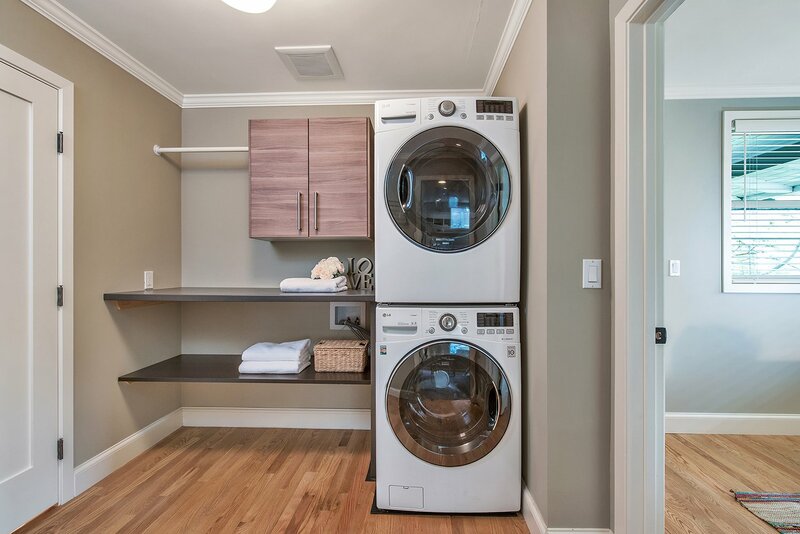 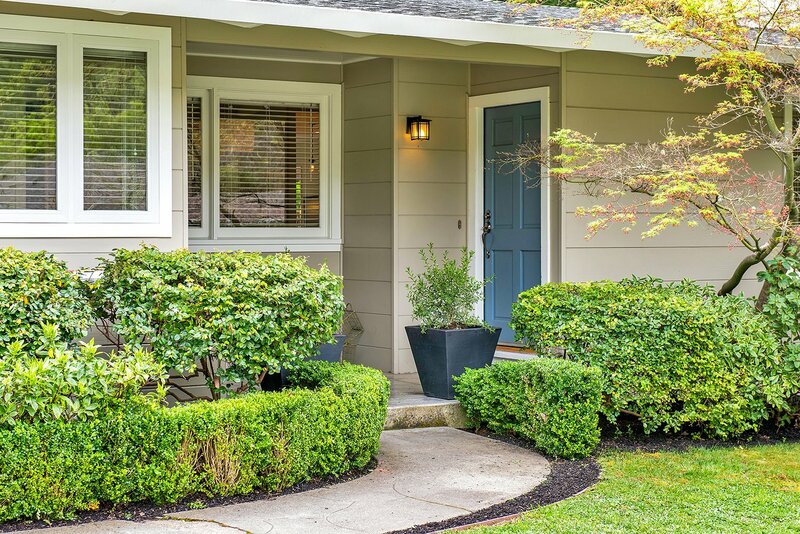 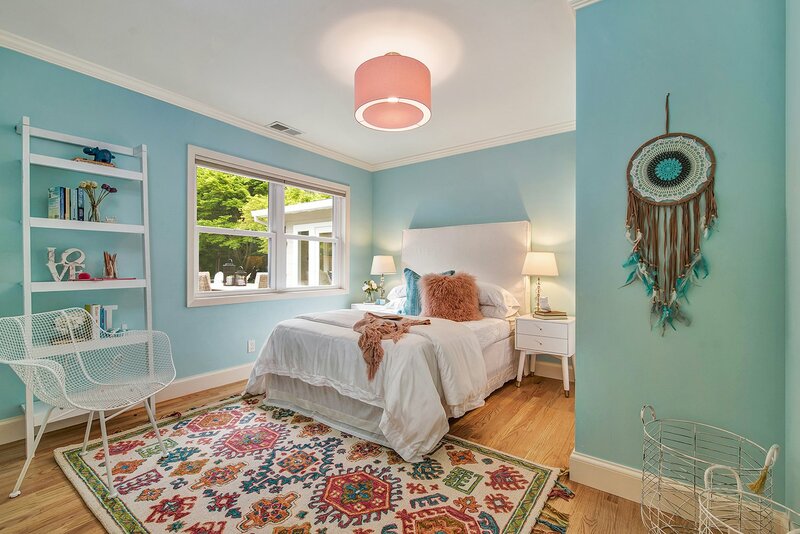 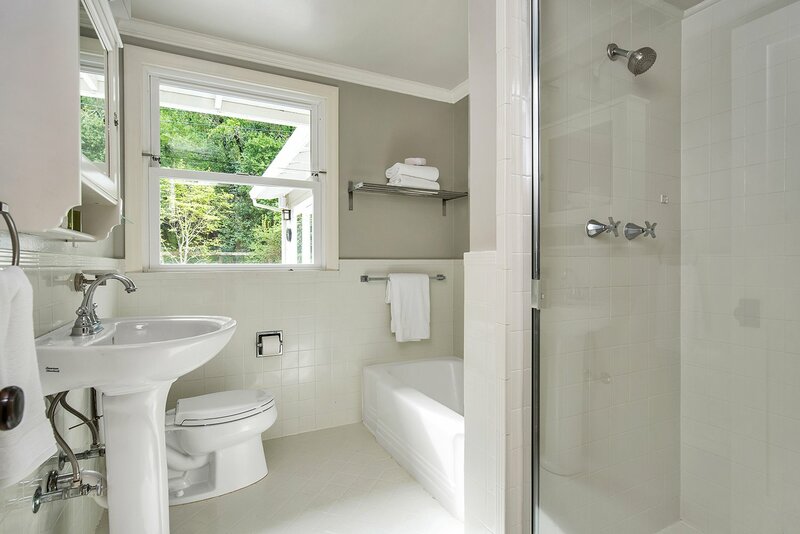 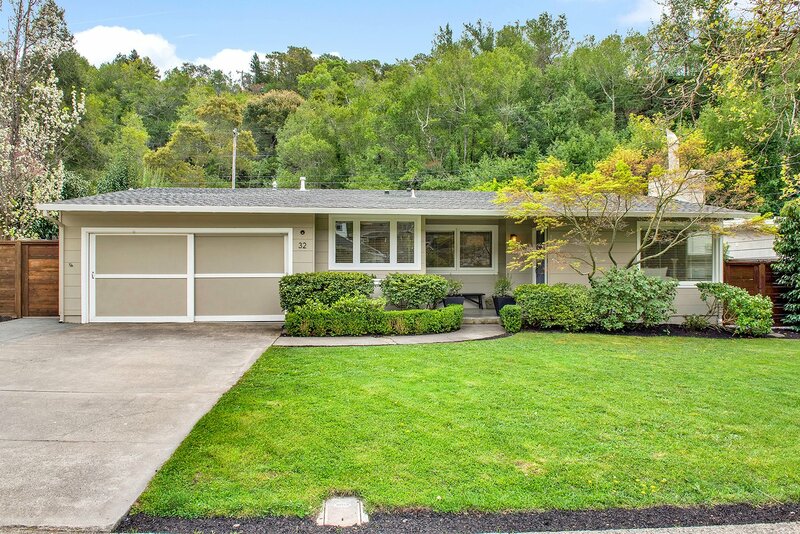 Absolutely charming single level home in a fabulous location blocks away from Kentfield Schools, public transportation, Marin General Hospital, bike-paths and The Bay Club. 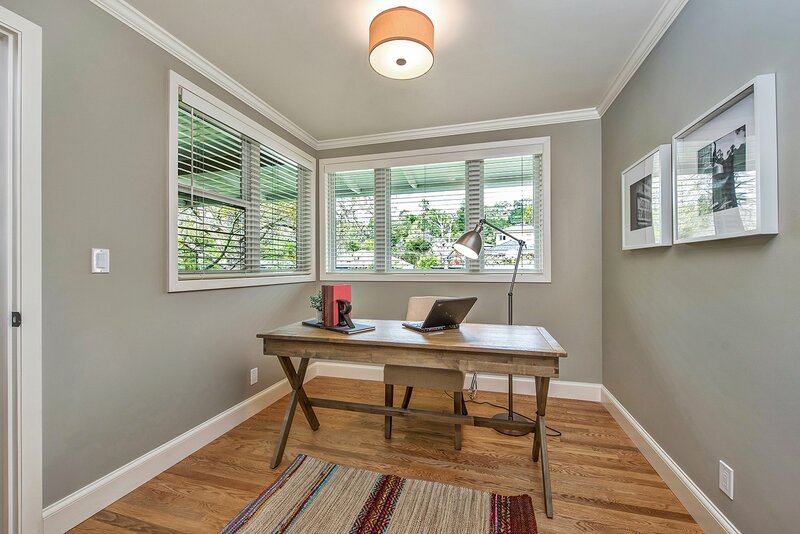 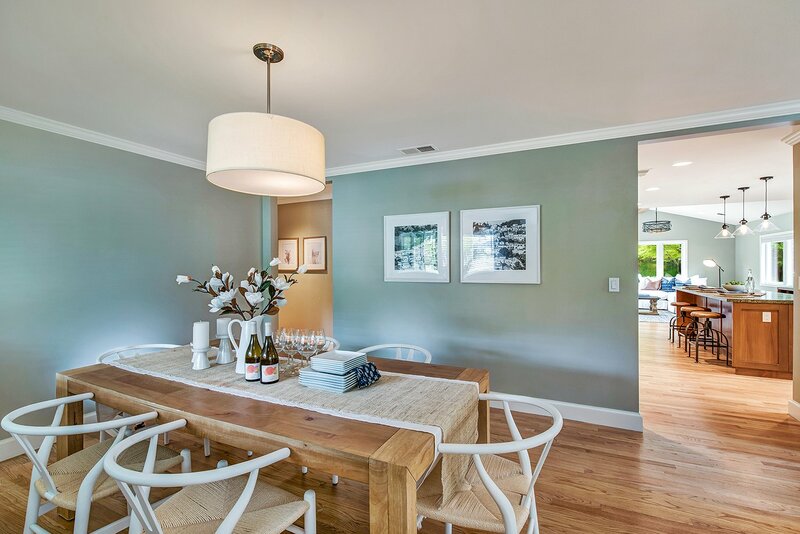 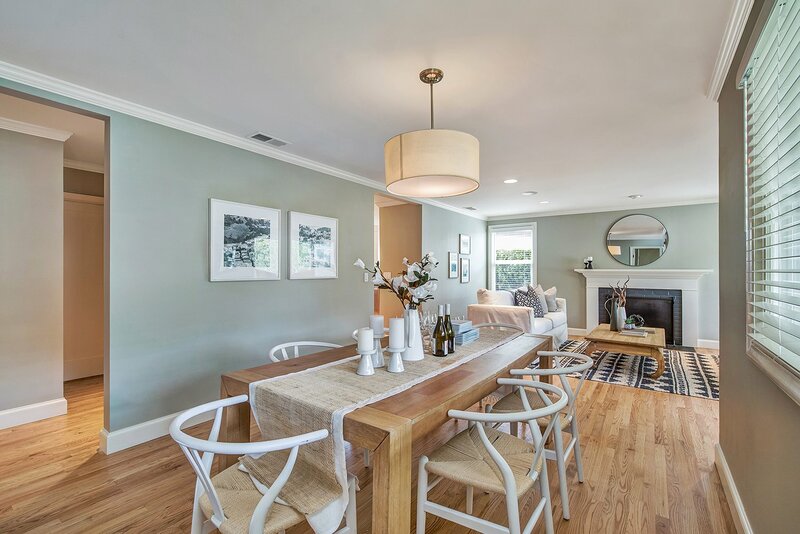 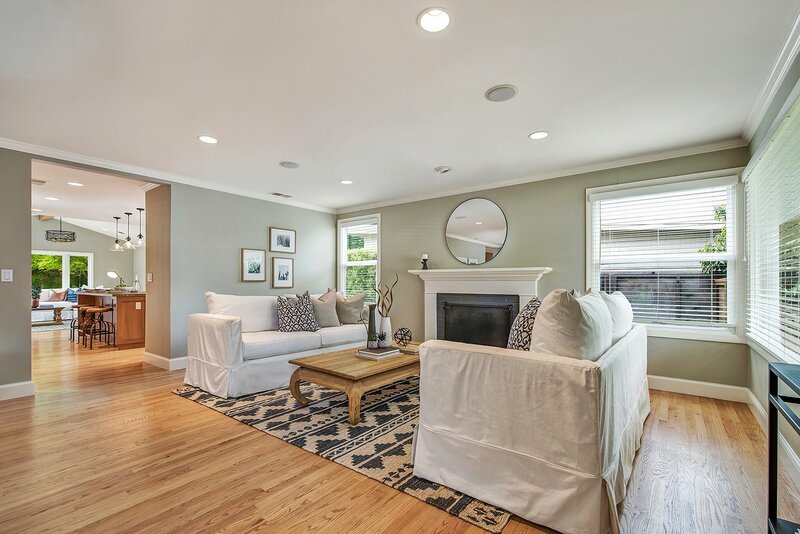 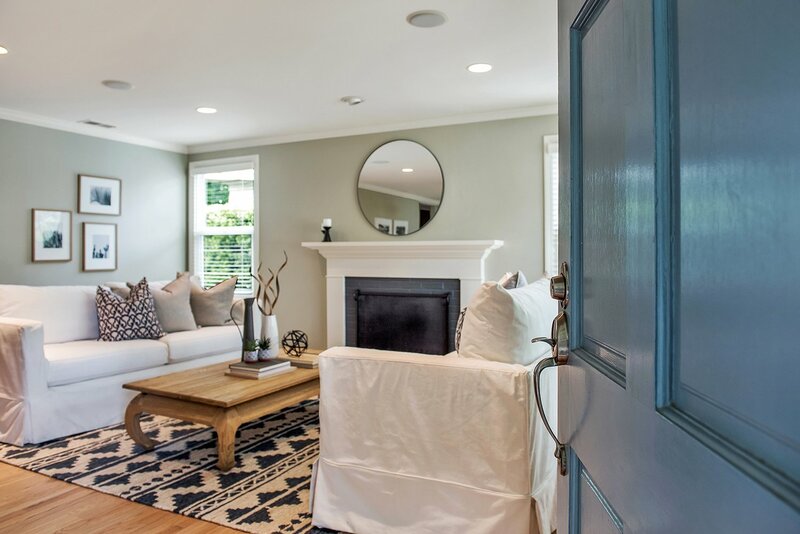 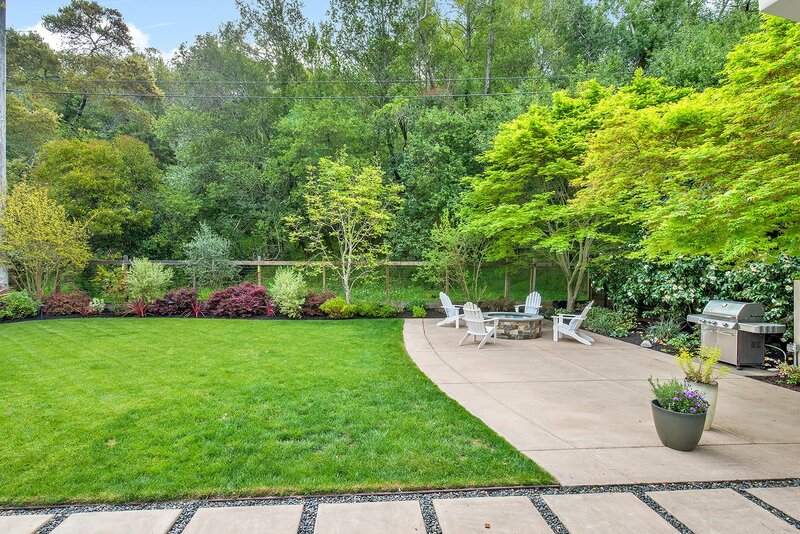 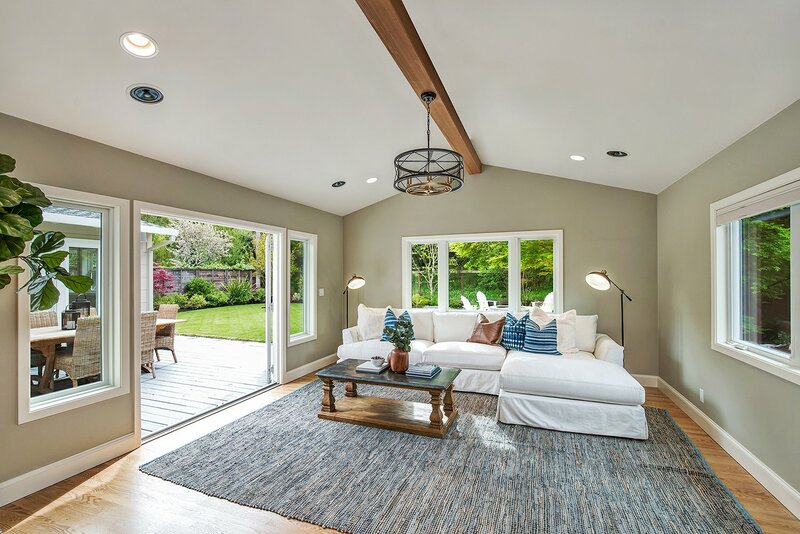 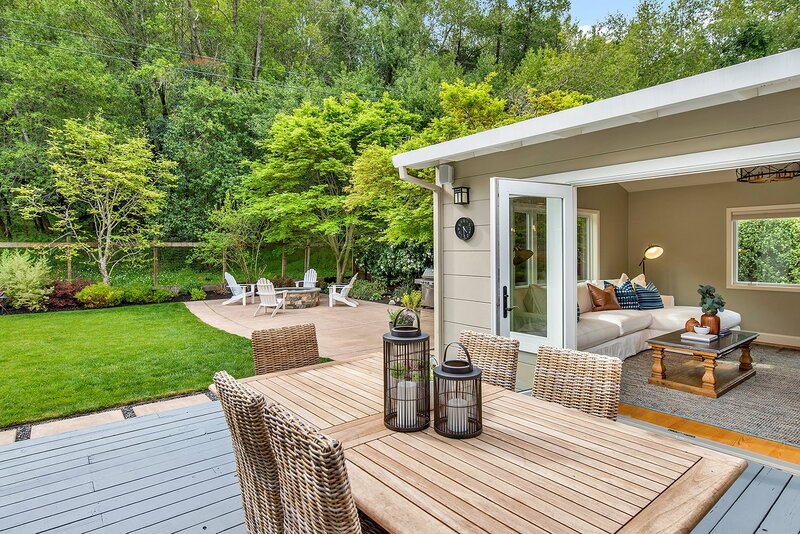 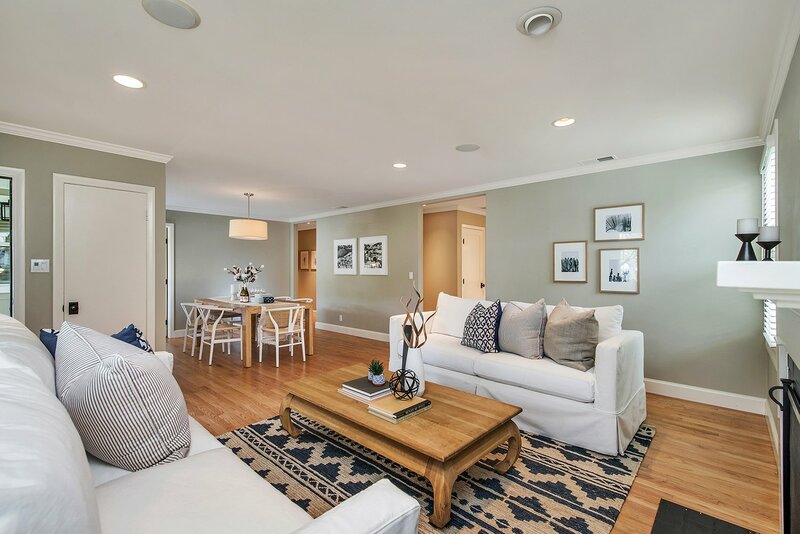 Ideally located on a peaceful level lot in the flats of Kentfield on the Greenbrae border this lovely home is ideal for indoor/outdoor living. 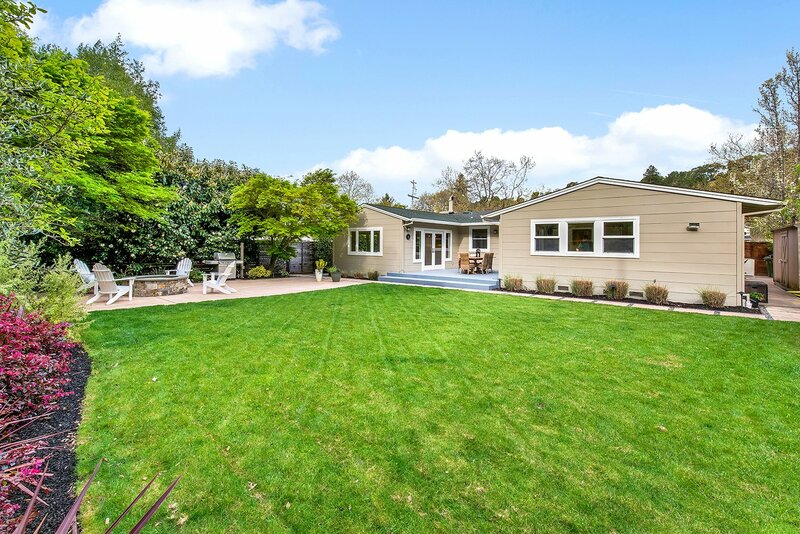 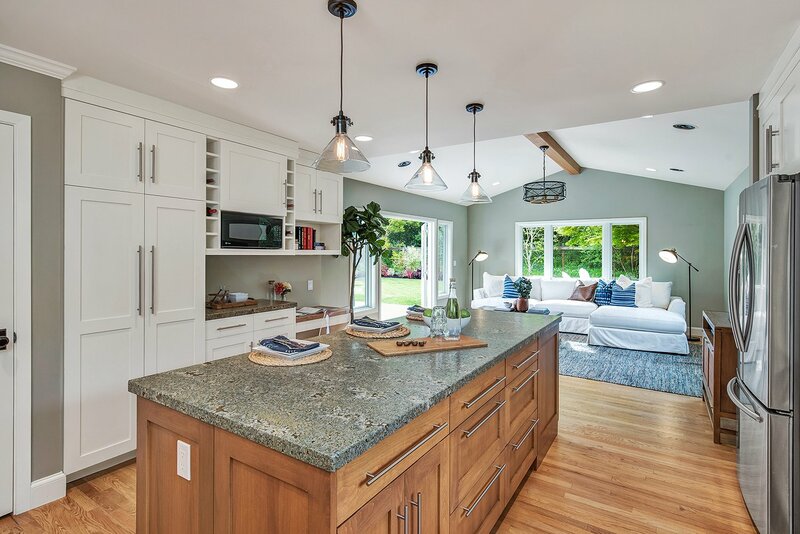 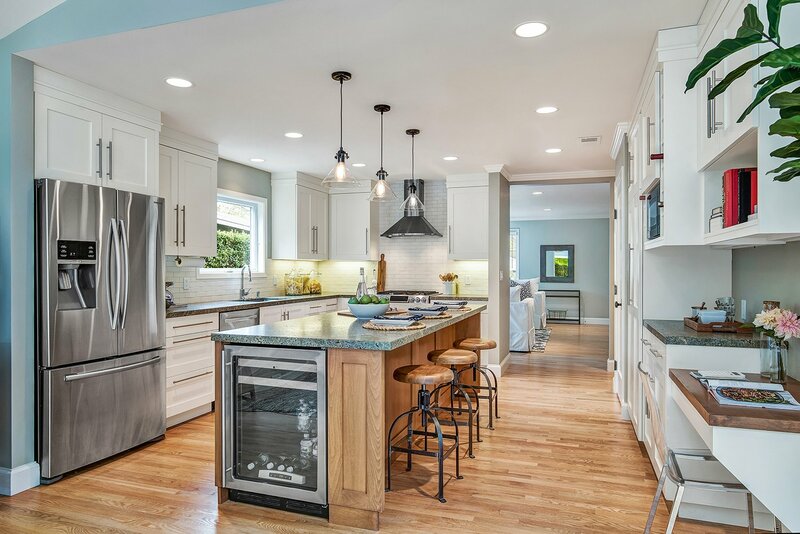 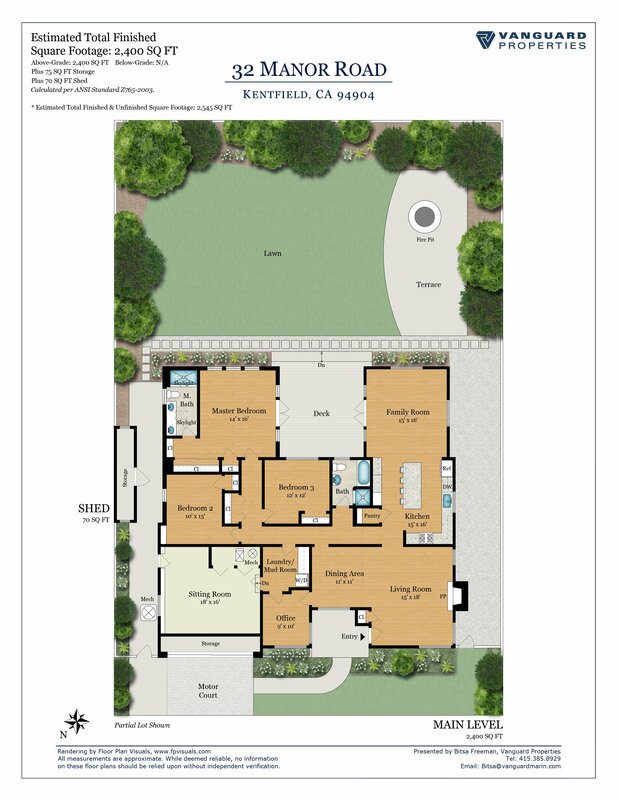 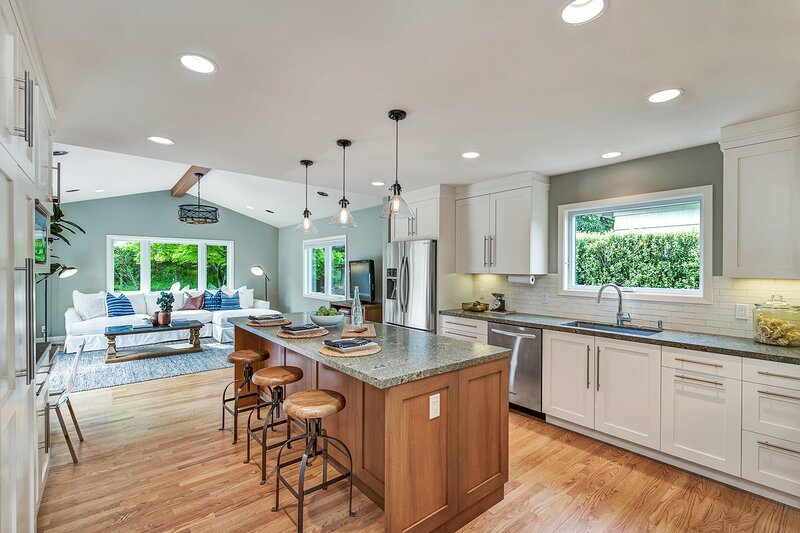 An expansive kitchen/family combo great room with soaring ceilings opens directly to a beautifully manicured fenced and irrigated rear yard with mature plantings, a large level lawn, fire pit and barbecue area and enjoys total privacy due to it's backing up to open space. 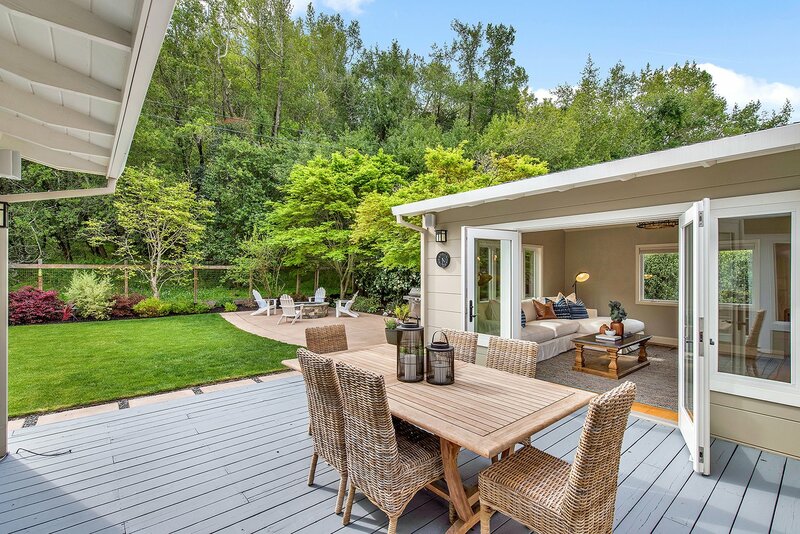 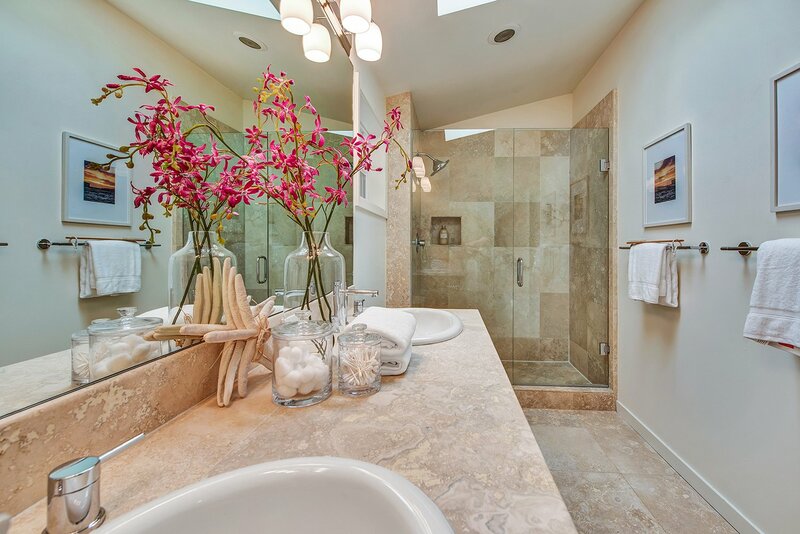 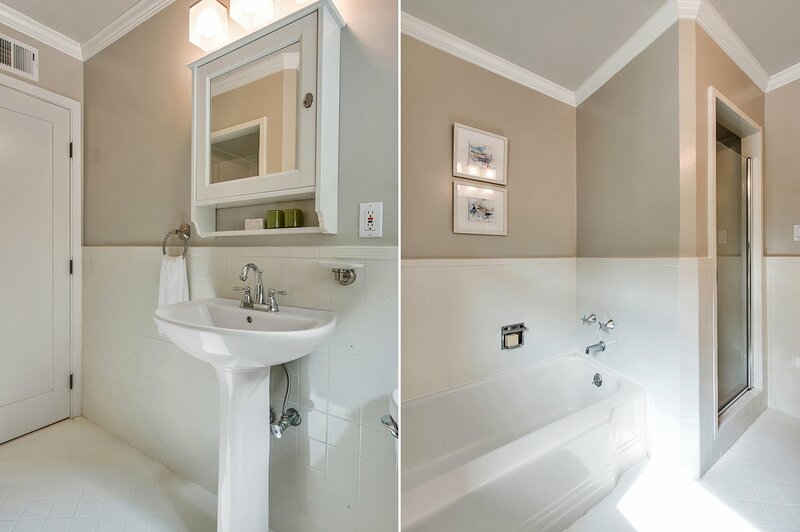 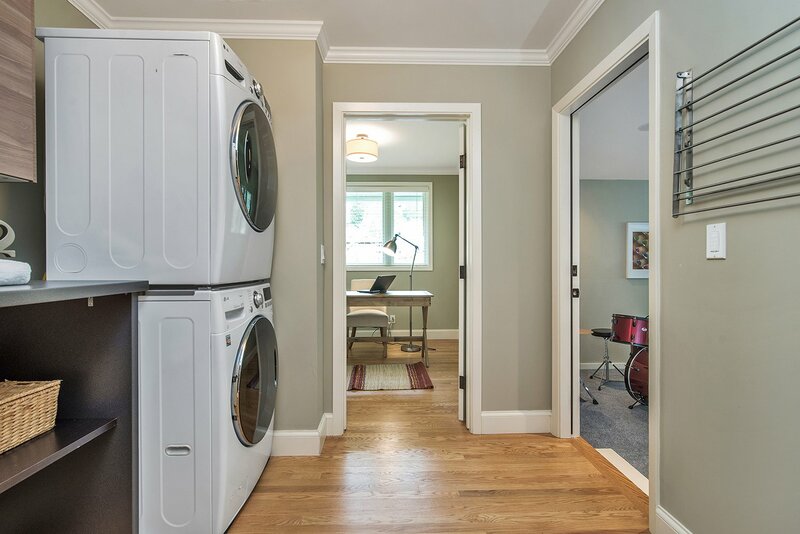 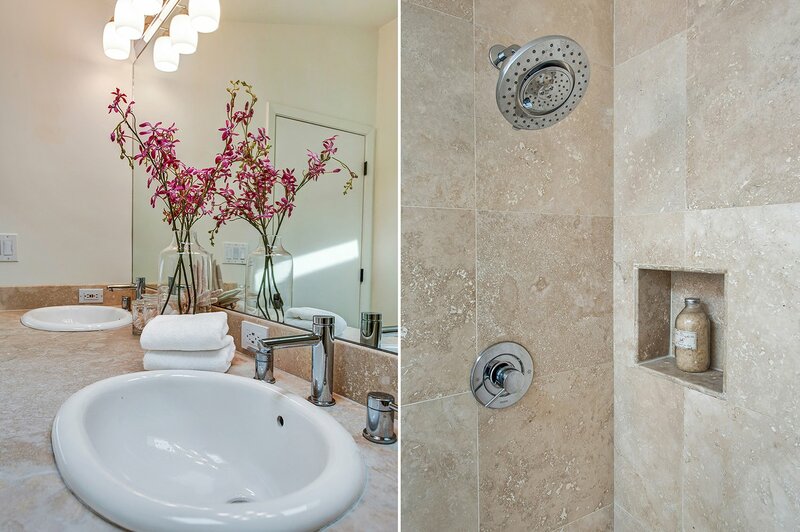 This home is the perfect blend of convenience and tranquility. 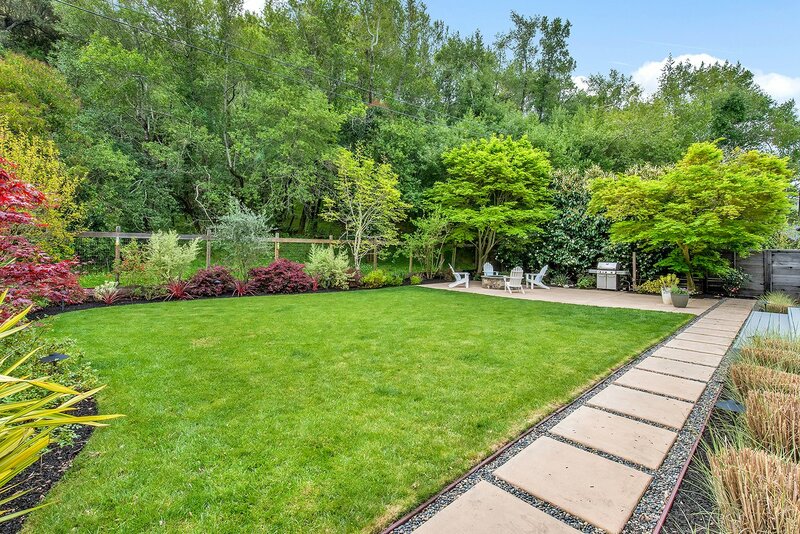 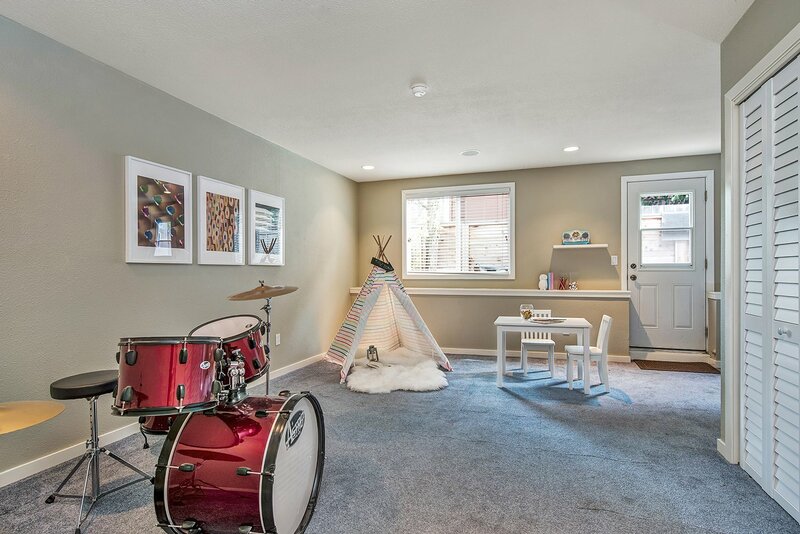 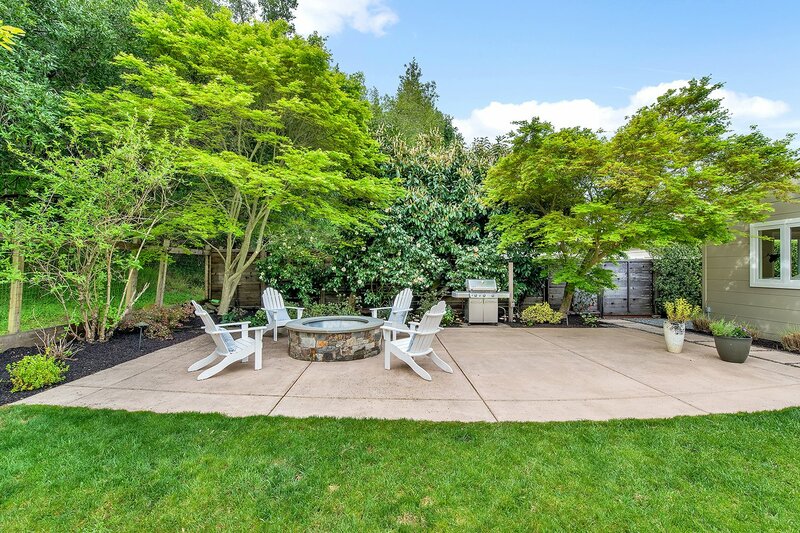 Spacious fenced backyard with large lawn, fire-pit, native plantings & backs to open space. 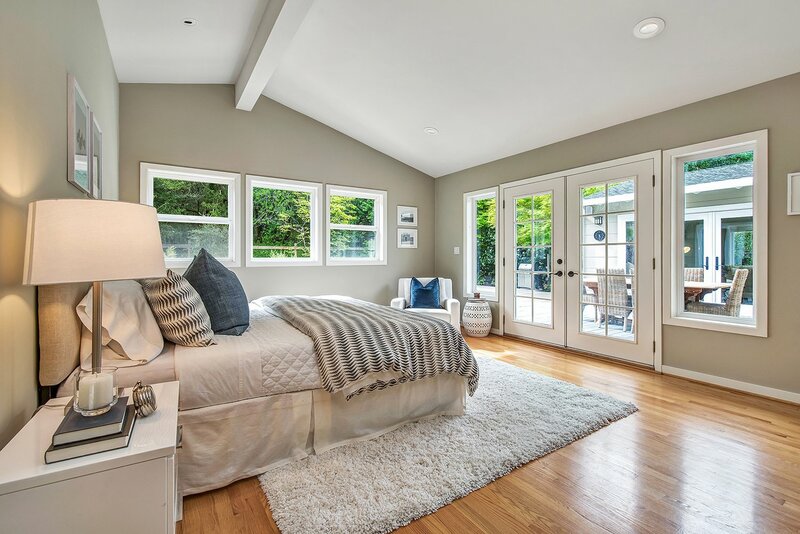 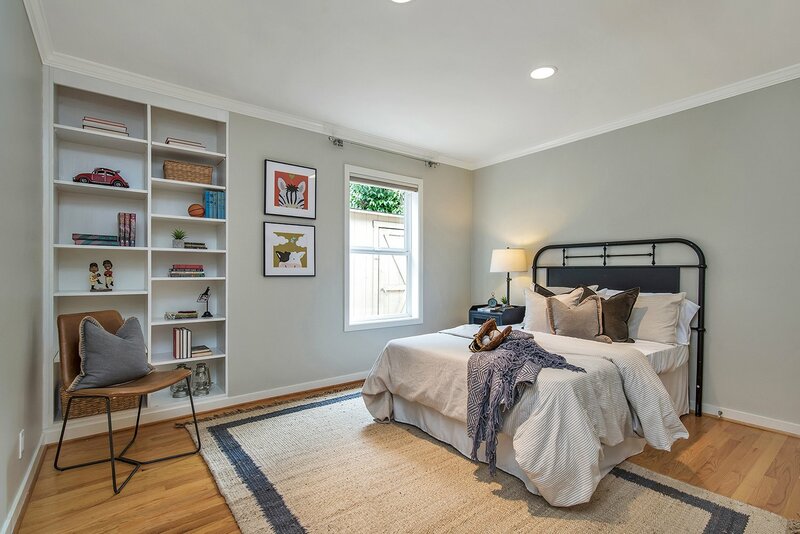 Master Bedroom is bright and sunny with open ceilings and french doors that open directly to backyard.